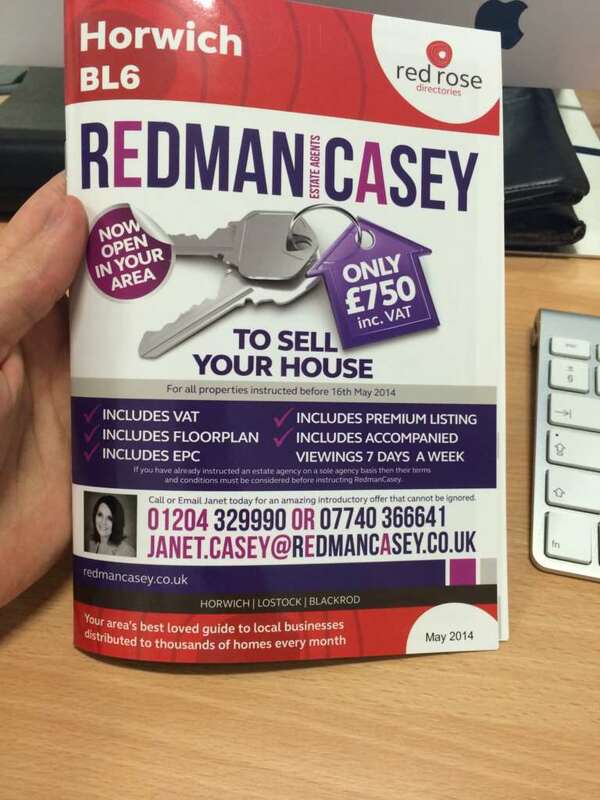 Redman Casey Estate Agency - News- Wow !!! What A First Month - Thank-You So Much !! Wow !!! What A First Month - Thank-You So Much !! We only opened our doors on Easter Monday, 21 April and the initial support has been totally over whelming, with clients wanting some help, we are committed to being on call 7 days a week. A big thank-you to all our family, friends and colleagues for `promoting us` wherever they can, we cant thank you enough and It`s been re-assuring to see a lot of our old clients ringing us and taking the trouble to look us up. We`ve both been selling houses in Bolton, Horwich and Blackrod for 20/30 years so have helped hundreds of people move house and many have contacted us up to help them again. We can assure you of our personal attention 7 days a week - guaranteed ! !